If you weren’t convinced by her first pop at a visual album, with Lemonade, Beyoncé’s made it crystal clear: she’s an artist who is entirely, explicitly in control of her work. The hour-long epic has already blown up social media, spawned a thousand think-pieces and sent gossip sites into overdrive – but it won’t be long before it’s discussed in classrooms, either. The film will provide hours of interpretation for the few Rutgers University students lucky enough to nab a spot on the college’s Politicising Beyoncé class, a course which has become somewhat notorious since being founded by Kevin Allred in 2010. With a reading list comprised of texts only by black women (among them Sojourner Truth and bell hooks) Allred uses the singer as a lens through which to dissect contemporary race, class and gender politics – even examining the way Bey ‘queers’ gender through songs like “If I Were a Boy”. We caught up with him in a break between classes to get his thoughts on the visual album. What was your initial reaction to Lemonade? Kevin Allred: Just complete awe at what a genius Beyoncé is, creatively, conceptually, artistically – just everything! I tried to watch and take as much in as possible on the first viewing, not overanalysing too much. I wanted to experience it all as Beyoncé intends us all to experience her work. But of course, the politics shone through right away. I shouted a lot, I gasped, I danced. Your class is called Politicising Beyoncé – since you started it, how far do you think Beyoncé has undergone a shift to more overtly politicising herself? Kevin Allred: Well, I think her work is an evolution and is always building on the past. She’s certainly becoming more explicit about certain political issues – but at the same time, the layers have always been there. They just required a lot more digging to find. I think it’s all been part of a long-term strategy to gain the widest following, reach and influence. And then drop more explicit political statements to reach the most people and create really necessary conversations. Even though she’s being more overtly political in some ways, there are still just as many subtle things in the videos and lyrics that can be analysed to enhance the messages (being conveyed). 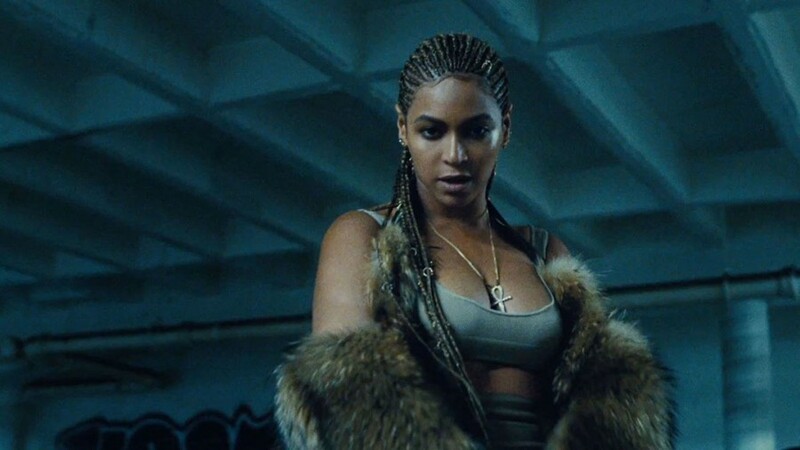 The class seeks to dissect Beyoncé in terms of class, racial, sexual and gender politics – how does Lemonade make these social agendas explicit? Kevin Allred: Lemonade is a celebration of black women – all different kinds of black women and all different generations. At the same time, it’s also an indictment of American society (and can apply more generally too, but she does anchor the visuals in the American south) and it forces the audience to ask the question: Why doesn’t America love black women? Look what has happened time and time again over history. Look at what is still happening. When will things get better? And it’s not up to black women to make it better themselves – it’s up to the system that created the problems from the beginning. She’s asking all these questions through the metaphor-slash-allegory of the cheating narrative. I always try to resist reading any personal messages into Beyoncé’s lyrics. She may intend them, she may not. But we don’t know anything about (her and Jay Z’s) private life, so I find the bigger questions about society and politics much more interesting. When trying to analyse the lyrics in terms of her personal relationships, do we risk losing sight of the bigger messages? Kevin Allred: I think we do. It seems hard to hold both those things in equal tension for a lot of people. And the personal is what most people go to – we want to know more about Beyoncé and her life. But we don’t. She doesn’t want us to. I think she uses the personal to speak to bigger things, not necessarily her own life or relationships. Whatvs the most important message we should take from Lemonade? Kevin Allred: I think the most important lesson is that black women survive despite insurmountable odds. And to respect, honour (and) celebrate that. We can also ask ourselves in what ways we aid or prevent that survival, and what we can do to make a world that’s more inclusive of our differences. Lemonade is full of pain, but also so much overwhelming joy and hope. I think we need to listen to what she’s saying, look for her subtle references, and just take Beyoncé at her word. Do you see Beyoncé as empowered by clothing throughout the film? What insight can we glean from her outfit choices? Kevin Allred: In some ways, the clothing does empower her, but I also see the clothing as representative of the levels of power she’s exerting at different moments – or through different characters. (Because Beyoncé is always playing characters in her work.) A lot of the history comes through clothing choices, I think – seeing different generations in that way. How do you interpret the southern gothic-inspired segment? Kevin Allred: I think a lot of Beyoncé’s work references a kind of southern gothic aesthetic because she’s dealing with the past – an unsettled past that hasn’t been righted or acknowledged. The ghosts of slavery still haunt America, and I think Beyoncé is trying to reference that haunting. Why is her inclusion of other women – from Leah Chase to the next generation of girls like Amandla Stenberg – important? Kevin Allred: It speaks to the generational focus of Lemonade and generations of black women – the past, present and future working together. It also speaks to a practical feminist ethic of working with others towards a common goal – not just highlighting herself as the answer. This album is clearly about centralising the black female experience – what should more privileged people learn from it? Kevin Allred: To listen. Listen to the message. We can all enjoy and talk about Lemonade but we have to know our place to engage and acknowledge our own position. It is for and about black women’s experience. Yes, there are some elements that might apply outside of that specific identity, but we all have to remember not to infringe on the original intent of the work. Not lay claims that negate that intent. And generally, I think we can all learn to check our various privileges and learn how to engage with a piece of work that doesn’t use the straight, white male experience as universal. Beyoncé is redefining what is centred and decentring what we’ve previously tacitly understood as normative. It’s also important to learn to sit in the discomfort of not seeing yourself as the main representation in the film-slash-album if we are from these more privileged groups. Nothing changes without shaking things up.